Saltwater can be very unforgiving on freshwater fishing equipment. And while some freshwater reels are capable of short stints in saltwater if well maintained, it is always best to invest in a good saltwater fishing reel. But choosing the best reel for saltwater use is becoming more difficult than ever, what with the different types available. Brands also offer newer technologies each day in a bid to make reels more powerful and smoother. Often known as a casting reel, the conventional reel is generally used for saltwater or deep sea fishing. The most popular materials of choice are machined aluminum and heavy-duty graphite, both of which offer durability while reducing weight. 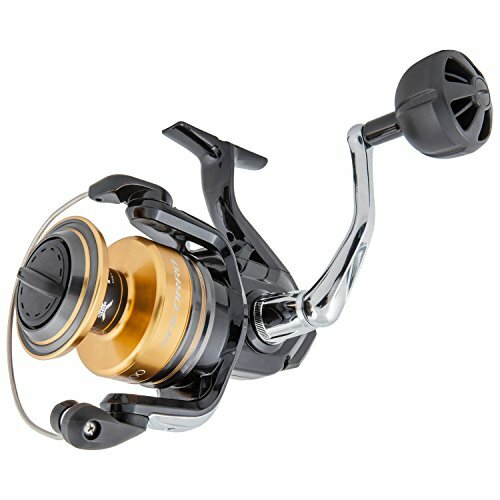 Trolling reels come with either star or lever drag systems, thus offering high stopping power. 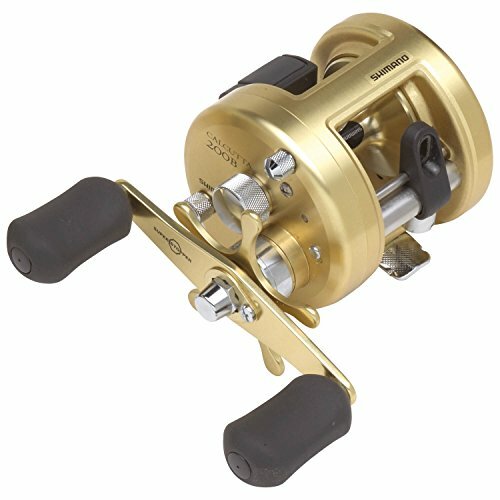 This reel type is an inexpensive option that is easy to use and a great investment for beginners. It is common among casual anglers and children. Defining features include a button release for simplicity and decent accuracy. It is one of the easiest reels to untangle since all you have to do is open the bail of the reel before pulling on the line. The spinning reel is one of the most popular reels among anglers, with the main competitor being baitcasters. It offers plenty of versatility, making it an excellent choice for targeting tarpon on the lake or battling bass in deep waters. Flipping up the bail wire releases the line for an accurate cast. Like the spincast reel, this is ideal for beginners. It is straightforward and an easy reel to learn to use. Additionally, it makes an excellent choice for seasoned anglers who work with live fish baits or light, artificial lures. Many anglers prefer baitcasting reels for a good reason. The risk of line twist when casting is negligible. You also get greater power for further casting. Baitcasters are available in multiple sizes to suit varying fishing conditions. They offer more control and accuracy, and are capable of handling heavier pound line tests. The only downside is that there is a slight learning curve. Fly fishing reels come in varying styles, e.g., some are intended for trout while others are optimized for catching salmon. Some use a large arbor to increase retrieval speed. The main advantage offered by fly fishing reels is that they are lightweight and durable, with some lasting for more than 30 years. 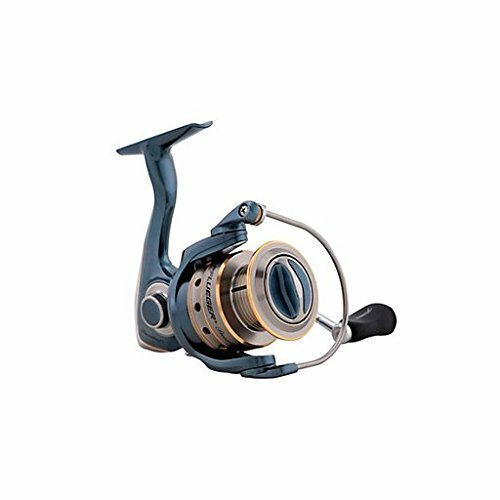 If you are looking for something that can withstand the harsh conditions of the surf, the surf fishing reel is a perfect contender. It is built for optimal corrosion resistance with materials like graphite, anodized aluminum or a combination of both. Most come with sealed stainless steel bearings. This reel type holds a lot of line and provide accurate, long casts. They are quite versatile and can be used for different techniques or species. This feature is a crucial factor to consider due to varying sizes and habitat of each. For instance, snook favors mangrove shrouded islands, but can also be found under bridges where the bait flows on an outgoing tide. On the other hand, the tarpon is located along the coastline and in deep channels or coastal rivers that lead to open waters. Tackling each species requires a reel that is optimized for these specific conditions. This is another essential factor to take into consideration when choosing a saltwater fishing reel. Fishing from a boat gives you the advantage of reduced stress on the rod, reel, and line. Anglers fishing from the shore or pier need equipment that takes the fight to targeted fish. This means heavier drag and increased line capacity. 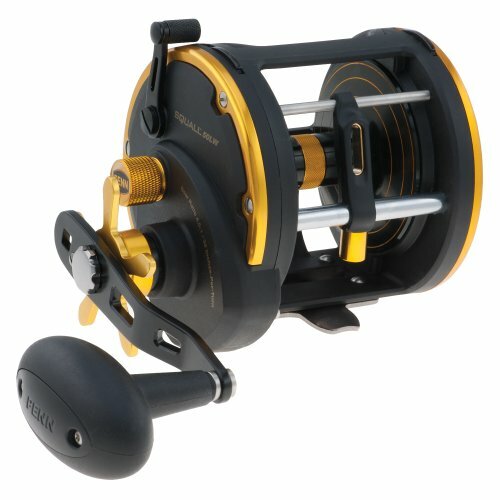 How much experience you have determines what kind of reel you can use. For instance, spincast and spinning reels are best suited for beginners while baitcasters are more challenging to use and capable of handling heavier species. 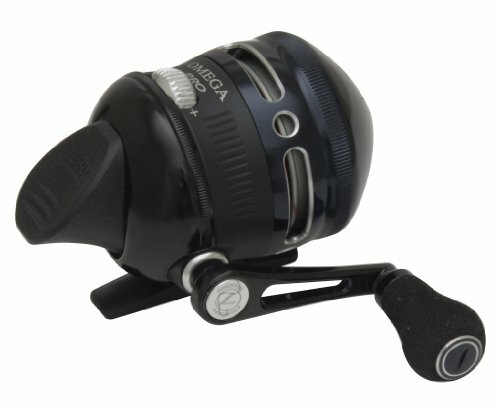 Professional anglers will benefit most from baitcasting reels since they accommodate a wider range of techniques. Spinning reels have a lower line capacity and drag. They are ideal for targeting smaller species. Because every manufacturer rates its reels differently, there is no fixed rule as to what size is best for saltwater fishing. The general rule of the thumb is that the smaller the size, the smaller the reel. 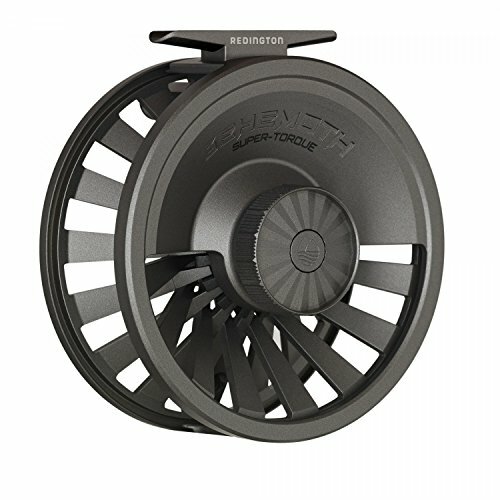 1000 to 3500 class reels are ideal for smaller targets and accommodate 2-10 lb monolines or 8-14 lb braids. Medium size reels ranging from 4000 to 5500 are for barramundi or snapper style rods and 8-14 lbs mono or 8-25 lb braid line. If targeting more aggressive species, consider larger reels, i.e., 6000 to 9500. There are several materials used for the construction of saltwater fishing reels. Metal body construction is often done with aluminum because it is lightweight and lasts a long time. It is also durable and capable of handling heavy game fish. Most manufacturers opt for anodized or CNC machined aluminum. Graphite is extremely lightweight and an excellent choice for hunting small to medium size fish. We wouldn’t recommend it for game fish because it can be brittle under extreme pressure. Plastic is sometimes found in budget reels. While corrosion resistant, it’s often faulted for breakage or bending due to lack strength. Magnesium is tough, strong and rigid enough to handle large fish. A combination of the materials is often used to provide the best advantage. Graphite can be used on an aluminum reel for other components like rotor and side plates. Similarly, a graphite reel may have an aluminum rotor and spool. Your choice of material ultimately comes down to the durability, corrosion resistance, cost and what you expect from your reel. The gear ratio denotes how many revolutions the spool makes with a single crank of the handle. A reel with a higher ratio offers fast line retrieve, hence ideal for a fast moving lure. Contrary to popular opinion, a higher ratio isn’t always good. A lower ratio allows for more leverage and control to pull larger fish. On the other hand, a higher gear ratio is perfect for fishing with spinners or top-water plugs. It also comes in handy when trolling with long line lengths. Ball bearings are solely responsible for reducing friction around moving parts. In the case of saltwater reels, you need bearings built to resist rapid corrosion. Stainless steel is standard and offers excellent resistance to rusting, but ceramic is also a good choice since it’s not a metal. Ceramic is extremely hard and very effective at minimizing friction. On the downside, reels with ceramic bearings are quite expensive and hard to find. Keep an eye out for reels with a higher number of bearings. They can range anywhere from four to more than nine. As the number of bearings increases, the smoother the retrieves will be. Manufacturers are always improving their drag systems to optimize customer experience. There are different types of drags, with the most common ones being front and rear drag systems. Professionals prefer front drags because they are robust and built to last longer. Unfortunately, they are more difficult to access when fighting fish. Rear drags less robust but easier to adjust. For saltwater fishing or larger targets, reels with a front drag are better. If purchasing from a high-quality brand, I would prefer a rear drag system. Available in ten sizes ranging from 1500 to 8000, the Daiwa BG Spinning Reels offer better value than more expensive models. 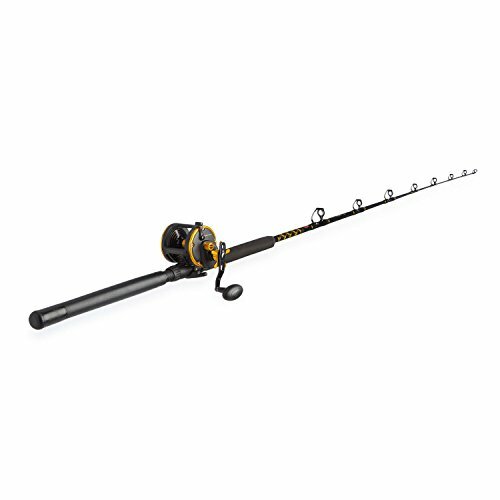 It boasts an aluminum body, waterproof drag system, dynamic cut ABS spool and Digigear system. All of these features work to deliver silky smooth performance and toughness in saltwater. The ABS swept spool lays monofilament, fluorocarbon and braid lines well. It lends a longer casting distance and issues of line twist are minimal if any. The Air Rotor construction and fluid design certainly boost the spool’s effectiveness. The BG3000 uses a waterproof automatic tournament (ATD) drag system that adjusts easily with the smallest corrections. It consists of carbon discs and offers 13.2 lbs of pulling power. The aluminum handle has a heavy-duty paddle and provides incredible comfort, even after casting all day. The Penn Squall Level Wind Combo is designed for hunting big game in a variety of conditions. It boasts sturdy construction with graphite frame and side plates. The stainless steel pinion gear and bronze gear add to the reel’s overall durability. It utilizes the HT carbon fiber drag system to provide pulling power without sacrificing smoothness. There are two stainless steel bearings for smooth line retrieve. An instant anti-reverse bearing helps alleviate rotor back-play. A durable and ultra-sensitive rod is included. It features blank tubular construction and a solid tip. This is an excellent rod and reel combo for targeting medium to large fish. The Zebco Omega Pro is built to provide lasting reliability with a platinum body and all-metal gears. It is quite solid and easy to use, hence a good investment for newbies or seasoned pros. It uses six ball bearings and one roller bearing, which is not very common in spincast reels. All of them are made from stainless steel for rust resistance. The fact that it is adaptable to left or right hand retrieve makes it versatile. The quick-change spool system offers even line lay while the triple-cam multi-disc drag system provides ample pulling power. With a gear ratio of 3.4:1, it offers faster line retrieve than any other spincast reel. It’s backed by a one-year limited warranty, which only covers consumer use. Shimano has been producing the most innovative products for more than 80 years and is mainly known for precision engineering. Their Calcutta 400B Round Reel ​offers outstanding durability, quality, and value. Available in left and right-hand versions, this baitcaster features a forged aluminum frame, side plates, and spool. It uses specially treated stainless steel bearings with 10x more corrosion resistance than standard steel. The metal series frames do an excellent job of keeping the moving parts in precise alignment for efficiency. Another notable feature is the Variable Brake System, which utilizes centrifugal force to control the cast for improved adjustability and distance. Shimano incorporates a Super Stopper to eliminate backplay and ensure solid hook sets. The Assist Stopper is a backup anti-reverse system that also reduces stress on a one-way roller for increased durability. Comfort is guaranteed with Septon handle material, which is soft to touch and doesn’t feel slippery when wet. 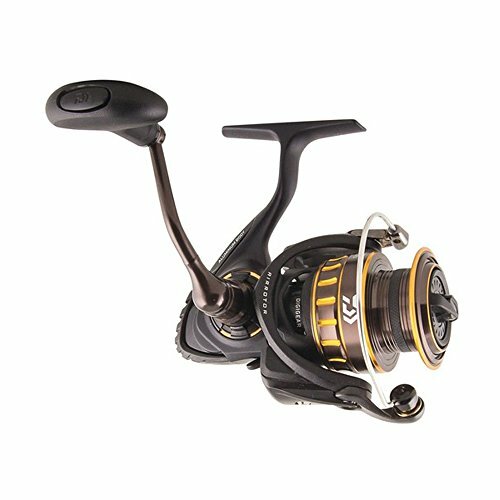 The Penn Squall Level Wind is an impressive reel series that has been improved tremendously over the years to provide the ultimate fishing experience. It features a 2+1 stainless steel bearing system that delivers smooth performance. The forged and machined aluminum spool ensures even line lay while the live spindle design makes for an exceptional reel when it comes to casting. The graphite frame and side plates help with reduced weight without compromising overall durability. This baitcaster comes with the Versa Drag System that makes the task of reeling in medium to large fish easy. It consists of HT 100 drag washers that remain cool and smooth, even when battling aggressive species. Also included are high strength stainless steel pinion gear and marine-grade bronze alloy main gear. The Ultegra XSD looks incredible in silver and black. The compact chassis houses smart technology designed to provide the ultimate performance. Highlights include new bearings with shields on both sides to prevent due to saltwater. It uses Super Stopper II anti-reverse to alleviate backplay. The Dyna-Balance prevents wobbling during retrieve for smoother performance. With a gear ratio of 4.3:1 and maximum drag of 20kg, reeling in bigger fish will be a walk in the park. The aluminum handle is delightfully long and offers comfort with a rubberized. Its spool can hold a ton of line 650-lbs test braid. The rings around the spool let you know how much line remains. If you want a lot of distance without getting necessarily wet, you will love the super slow oscillation as it allows for longer casting distances. This reel looks incredible in silver and black. The compact chassis houses smart technology designed to provide the ultimate performance. Highlights include new bearings with shields on both sides to prevent due to saltwater. Fly fishing requires plenty of precision, and that’s precisely what the Redington Behemoth Reel is designed for. The adjustable carbon fiber drag system maxes out at more than 16 lbs, making it more burlier than most reels in its class. Its original die-cast construction is sure to turn a lot of heads. Behemoth uses a triangular spool with a large arbor design that offers faster retrievals and minimal line memory. Its deep V structure lends more backing capacity when you run into feisty trout. 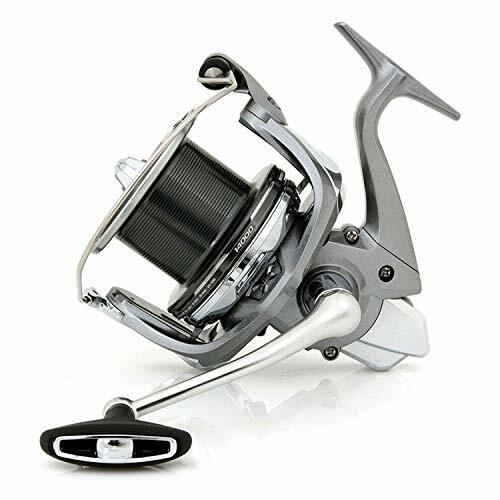 This reel comes in three sizes and has an oversized knob that provides ultimate comfort. While nice sounding, it can be a little muted on the incoming and outgoing. Available in four sizes, the Shimano Socorro is designed to deliver optimal performance at an affordable price. It is well constructed and will last a long time if taken care of. As with many Shimano reels, it uses Hagane cold-forged gearing. The cold forging process results in stronger and smoother gears. Use of two bearings, one at either end of the pinion gear, ensures perfect alignment under heavy loads. While not shielded, the 4+1 bearing system is anti-corrosion and offers smooth performance. The Socorro SW also features a patented Cross Carbon Drag System. It is incredibly smooth and has a capacity of up to 27 lbs, depending on the size. Professional anglers who lack the budget to consider premium models will appreciate what the the Pflueger Presidential Reel has to offer. It is an affordable spinning reel that comes in five sizes. The stainless steel shaft and handle are built to withstand the corrosive effects of saltwater. The graphite body reduces overall weight without sacrificing quality. This reel is equipped with a braid-ready spool made from a double anodized spool. The aluminum Sure Click Bail System produces an audible sound to let you it’s properly closed. Also included are a multi-disc front-positioned drag system and tri-coated spool lip. The above features work together to deliver smooth performance and enjoyable experience. As with anything you purchase, the type of saltwater reel you purchase depends on your needs and fishing style. Nevertheless, the above reels are great performers and offer the best in their categories. You can’t go wrong with any of them, regardless of your budget.